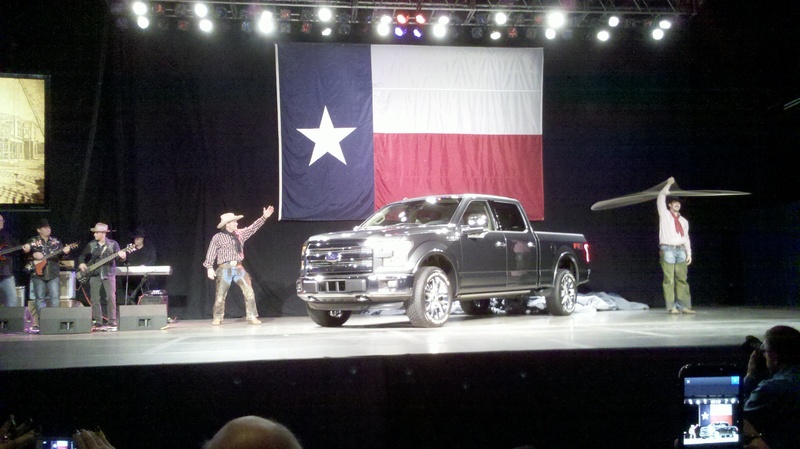 #Motorama LIVE brings you a comprehensive inside & out full features overview of the all new 2015 Ford F-150 live from the January 13th, 2014 reveal in Dallas, Texas! Far away from the throngs of media in Detroit, #Motorama LIVE captures a personalized, one on one walkthrough interview with Ford Trucks Product Manager Eric Peterson, who will explain and show you all of the new features on this all new 2015 Ford F-150 inside and out. This is the most comprehensive 15 minutes on the new 2015 F-150 available online on Launch Day, so sit back, relax and enjoy! NOTE – The audio is a bit faint during the first 6 mins (it was captured on a GoPro Hero3 Black), so turn up the volume and listen over the background noise. Audio gets much better from 6 mins in until the end. Join us for #Motorama LIVE every Wednesday @ 9 PM Eastern on Twitter for the most comprehensive, wide open automotive and racing enthusiast discussion online! Search on and use the #Motorama hashtag to follow and join the conversation!